This morning was my first official meetup group with my Feathered Friends Photography Meetup. One brave soul decided to come out, wind, sleet or snow. He had voiced an interest in locating Tundra Swans, and this is one bird I knew where to find a large flock. 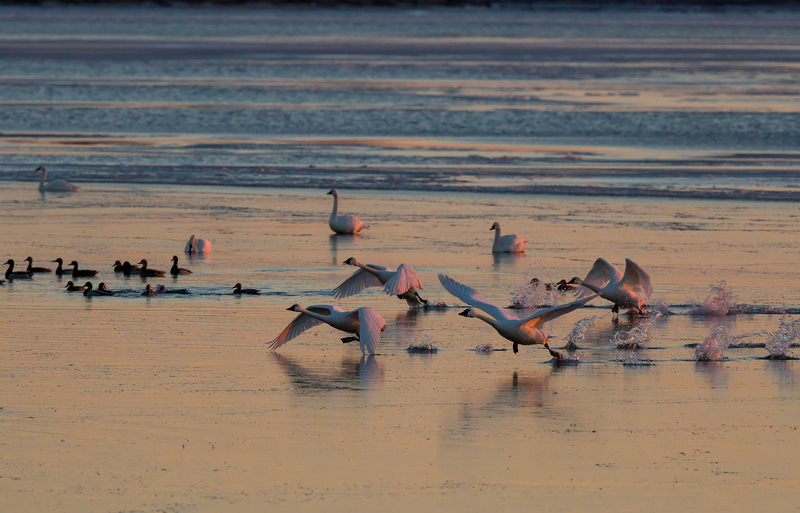 The Trumpeter Swan that I went in search for earlier this month is still around, and enjoying his Tundra Swan Flock. Now named “Bugle Boy” it would be again another search for a needle in a haystack. A pre-dawn departure had us arrive at the end of White Swan Drive. No..I’m not kidding..the white swans live off of White Swan Drive. 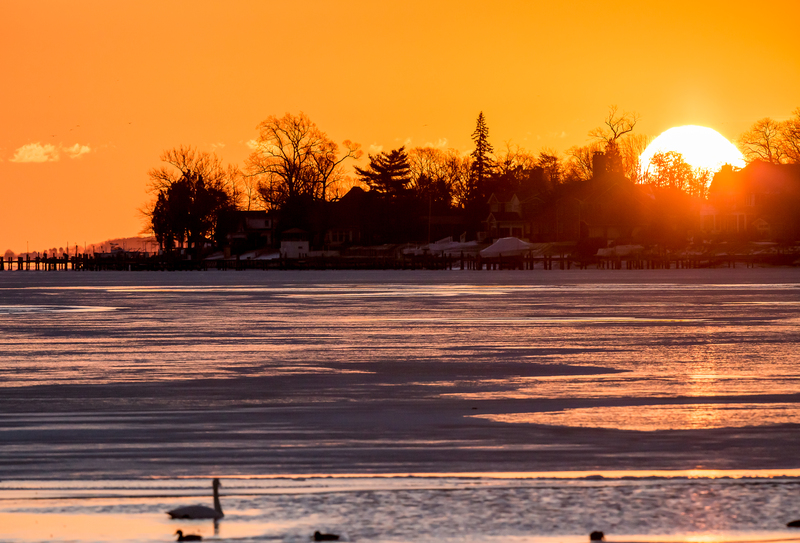 It was a clear morning, and the sunrise brought stunning light with it. The swans were at the point, but their breakfast was to be served three houses down. They began their departures as the sun rose. Arriving to the Swan Diner, the house owner came out to visit with us a bit, and throw out the morning corn for the swans, geese and ducks. They eagerly watched him, waiting for the corn. It didn’t take long for the boys to start fighting. This life that has been given to us as a gift, as such a precious gift. To really try to understand it, really try to recognize it, is the greatest meditation. Through the media of this Knowledge we can tap into our inner sources that are so beautiful. That is interesting as I would think you would see them in summer. Although I think these go really north into the arctic. Thanks Andy! Love that first sequence of photos, catching the colours on the swan’s white plumage. And, yes, trying to appreciate all the small things, but how easy it is to overlook them. I’m so happy that you also understand the beauty in enjoying the small things. Thank you so much for your kind words on this series. The group sounds great! And what a lovely way to start a day! Thank you so much, it is truly magical to enjoy them so early in the morning. Oh my gosh – these photos are absolutely amazing! I’ve never seen swans like this. I’m so glad you found me at my blog. Thanks so much – I’ll enjoy reading yours! To tell you the truth, I had never even heard of them until last year. I’ve got to thank a local birding club for opening up the bird world for me. I agree, the photos you captured are really amazing. Hi Charlie ! It’s so wonderful to hear from you. Thank you so very much for your kind compliment. 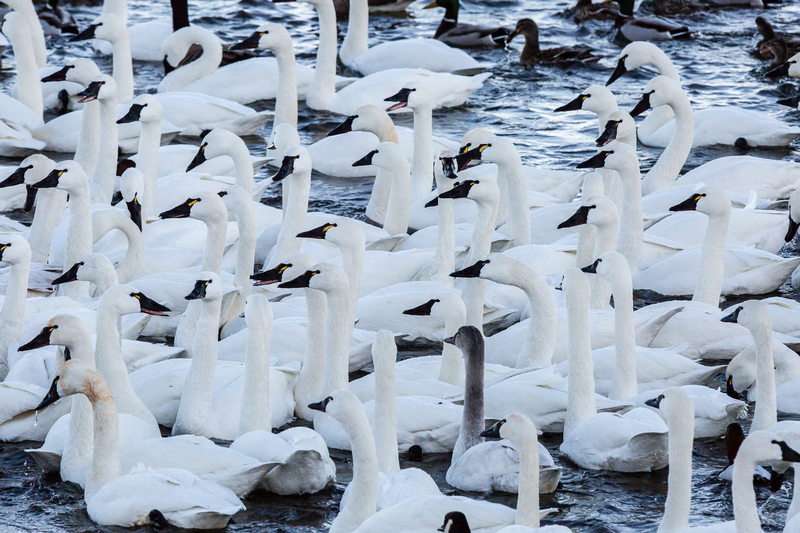 Incredible photos of the swans fighting, was it as loud as think it was? Those large birds really churn up the water. They are pretty darned loud, and I tell you, I can’t even imagine how hard it hurts if you get hit in the head with one of their wings. There is one Trumpeter swan in the mix. And he “toots” a single note just like a trumpet. It’s glorious. 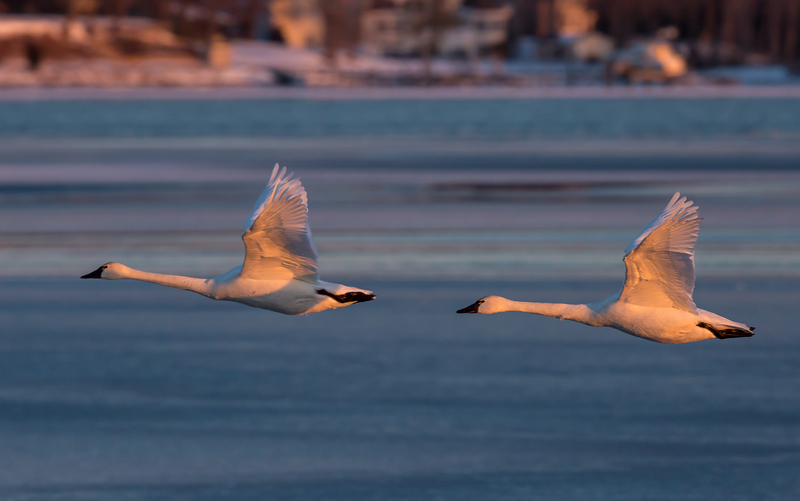 Superb photos…and the light under the swans wings is beautiful. I can’t tell you how excited I was with the beauty of the light that morning. Thank you so much! Great shots Em…..beautiful light in those first three images. Thank you so much Mark ! I was literally jumping up and down for joy with the gorgeous early morning light. Was worth an early wake up call for it.